Recently picked up M&F 3xl with 30mm knot. I am not familiar with MF XL series and not sure about the handle, loft specs. 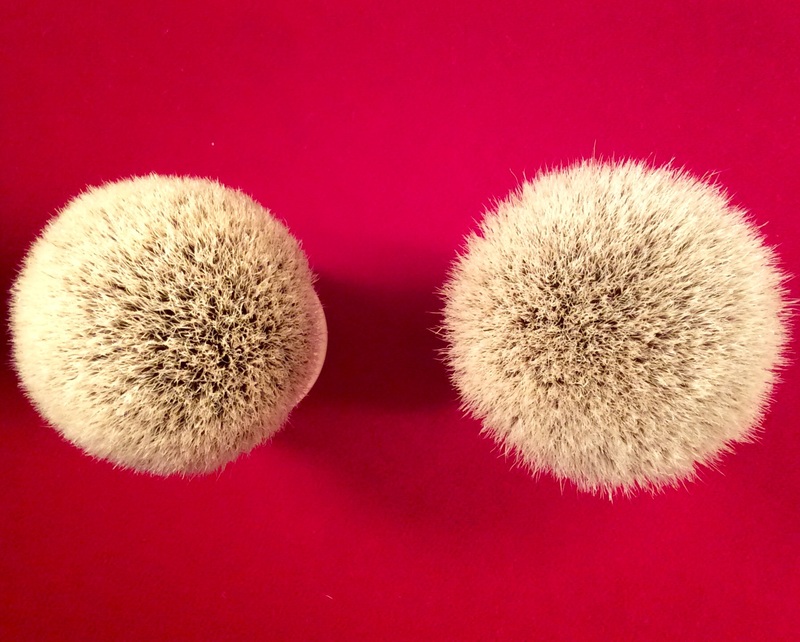 What is comparable spec simpson brush? I am afraid this will be a big brush . I imagine a Chubby 3 is the one you're referring to...knot diameter is usually between 30-31mm and lofts 55-57mm. The 3xl is a large brush, Mustafa. I had one in 30x50 Heritage Fan and sold it not so long ago because it was too big. It's definitely larger than the Chubby 2 you are already familiar with. I had a CH3, also, and sold that for the same reason. Think upon a 3xl as a Chubby 2.5. Here is a photo taken a couple of months ago showing my Coral CH2 Manchurian and the Tortoiseshell 3xl. this will give you some size perspective. David, it was actually 30 X 53mm and I don't find it so large! That, my friend, is one helluva line up! (10-12-2014, 12:56 PM)Steelman Wrote: That, my friend, is one helluva line up! Very nice color! I can't remember what I paid for mine. Did you buy directly from Lee? 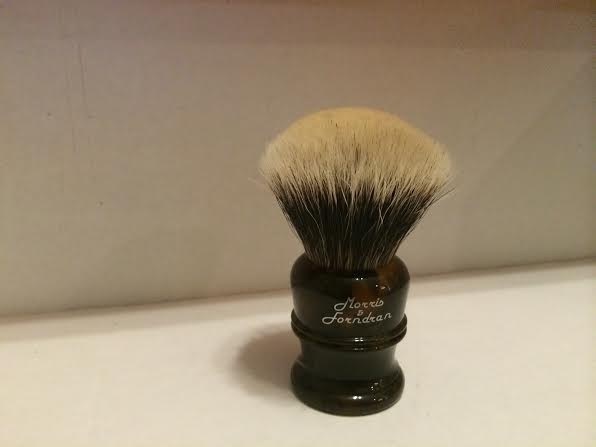 That price sounds about right for a brush of that size...I can't imagine you overpaid. I hope you enjoy it! Exactly what I was going to advise. I don't like big brushes and I prefer fans, Is one cause and the other effect? Maybe. I don't have much of an issue with my M&F 3XL Heritage Fan. I love it! I would definitely prefer a bulb on this knot, but the fan is just another experience. I seem to be gravitating to larger brushes! * Giorgio, beautiful trio, my friend! It's big! The finest hair is AMAZING! Sweeeeet! Two large, beautiful brushes! (10-13-2014, 03:22 PM)Mizzle576 Wrote: It's big! The finest hair is AMAZING! Beautiful brushes. Basically m&f will fill my CH3 spot. 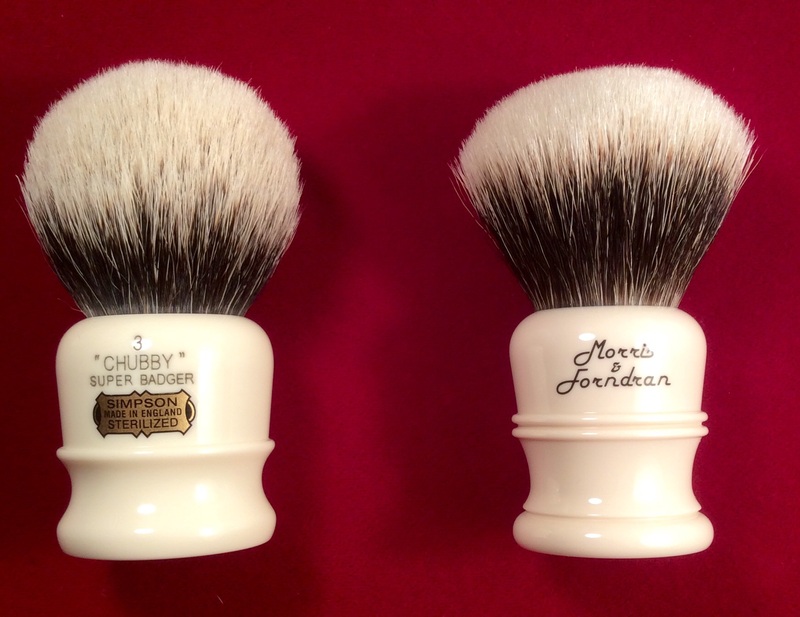 Beautiful brushes, particularly the CH3 2-Band! I have to get me one of those sometime soon. (10-14-2014, 06:27 AM)TheMonk Wrote: Beautiful brushes, particularly the CH3 2-Band! I have to get me one of those sometime soon.